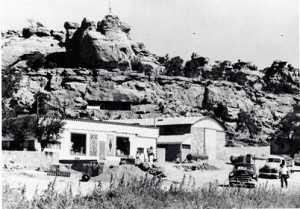 "Borrego Pass Trading Post, 1949," photograph, Farmington Museum (1995_16_7). New Mexico Digital Collections. Center for Southwest Research, University Libraries, University of New Mexico. November 13, 1980 Borrego Pass.